Blog What is family law? Family law is an area of the law which, simply put, deals with families and all things family related including what happens with property and children after separation. Family law is often associated with divorce however it also covers a range of issues including parenting and property matters for parties that have or have not been married. If you want to know more about specific matters in family law. We have some other articles you may be interested in. If you have separated, thinking of separating, have been served with an application, received a letter from a lawyer or want to know more about your family law matters, we would love to speak with you about the process and your options. 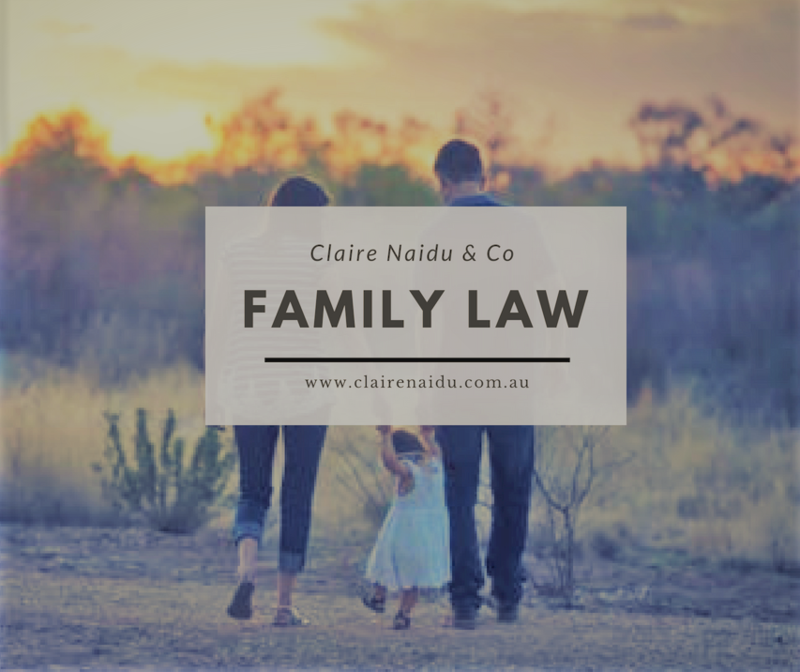 If you are seeking advice in relation to a family law matter and want to speak to people who know what they are doing and will look after you, contact Claire Naidu & Co, Lawyers and Mediators for family law advice. Click here for our contact details.